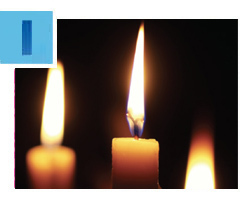 The Greater Miami Jewish Federation offers our deepest condolences to the families of those who died during the horrific terrorist attack at the Sarona Market in Tel Aviv’s Commercial District this past Wednesday, June 8. Israeli police reported that at least two individuals used automatic weapons to kill four people and critically wound at least six others before the gunmen were neutralized and arrested. An accomplice was later arrested, as well. Federation also extends wishes for a speedy and full recovery to those wounded, and strength to those who continue to defend our brothers and sisters in Israel. Further, we condemn unequivocally the culture of violence perpetuated by the leadership of the Palestinian people and express our respect and admiration for the resilience of the citizens of Israel in the face of such horrific acts of terror. As we prepare to celebrate Shavuot – commemorating the giving of the Torah to the Jewish people – it’s wonderful to know that your support of the Annual Federation/UJA Campaign is bringing other Jews closer to their heritage. 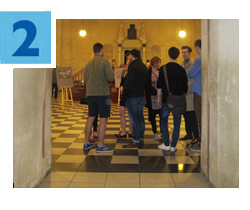 Just this week, Federation’s long-time partner, the American Jewish Joint Distribution Committee (JDC), co-hosted an “open house” event at seven synagogues in Krakow, Poland. Read about it in this Jewish Telegraphic Agency article. Photo: JTA. There will be lots of happy campers this summer, thanks to $122,000 in need-based Jewish overnight camp scholarships provided by Federation to 200 Miami-Dade children ages 8-17. Recognizing that Jewish overnight camp is a significant vehicle for Jewish engagement, Federation has allocated more than $1.42 million since 2002 to help families afford to send their kids on these experiences. This summer, participants will attend more than 40 different camps across religious denominations. Summer is a great time to do something good for others, and Federation’s Jewish Volunteer Center has a brand-new website to help you get started! 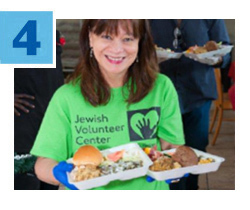 Located at ivolunteer.jewishmiami.org, the site makes it easy to search through a comprehensive collection of ongoing and one-time volunteer opportunities for teens, college students and adults. Community service hours are available, too. Click here to explore your many options. For more information, call 786.866.8680. Attention, employers! Are you looking for qualified candidates to help grow your business? JWorks Miami is a community employment program provided through a partnership of Federation and Jewish Community Services of South Florida, and offered at no cost to local employers and Jewish job-seekers. Let JWorks help you assess your staffing needs and refer qualified, pre-screened job-seekers to you. For assistance, click here or call 786.866.8498.